As Muslim and Christian faithful celebrate Eid El Maulud (the birthday of Prophet Muhammad) and Christmas (the birthday of Jesus Christ) respectively, adherents of both religions have been urged not to see the simultaneousness of the events as a mere coincidence, but as a sign of God’s desire for Nigerians, and, indeed, the world to live in unity and peace with each other. 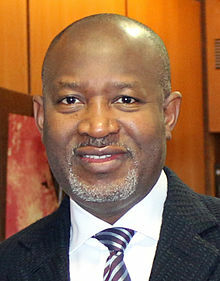 Minister of State for Aviation, Senator Hadi Sirika, while congratulating Nigerians on the two festivities, said the lessons of the simultaneous events must not be lost on all of us, as, without unity and peace in the land, the much desired change cannot be achieved. A statement by James Odaudu, Deputy Director, Press & Public Affairs, said that Senator Sirika called on both Christians and Muslims to use the opportunity to pray for the peace, unity and development of the country, while also urging religious, political and ethnic tolerance amongst the people. The Minister also assured Nigerians of the determination and commitment of the present Administration to bequeath an aviation industry that is safe, secure and customer centred through the provision of modern infrastructure, equipment and facilities. According to Sirika, all agencies in the Aviation sector have been directed to ensure free flow of traffic at the nation’s airports during the yuletide period, and to also ensure that no airline takes advantage of the huge traffic to exploit passengers in any way.